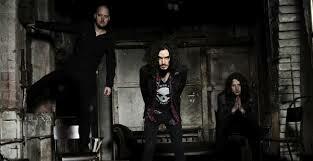 RavenEye Premiere Video For ‘Breaking Out’ via Kerrang! RavenEye have released a brand new video for their debut single ‘Breaking Out’, which premiered exclusively on Kerrang! Having just finished tour in Spain, RavenEye will next be supporting Blues Pills on their UK tour, so watch the video, be wowed, then go see and them live as they always put on an excellent show. Their debut EP, also entitled ‘Breaking Out’ is released 11 May via Rook Recordings and they will be sharing the stage with Slash with Myles Kennedy and The Conspirators on their European tour in June/July. All tour dates are available on their website.